My passion for photography has taken me many places -- from the urban center of Philadelphia to elections in Nicaragua, to the ethnic unrest in Armenia, and from California's heartland to ice caves in Alaska. 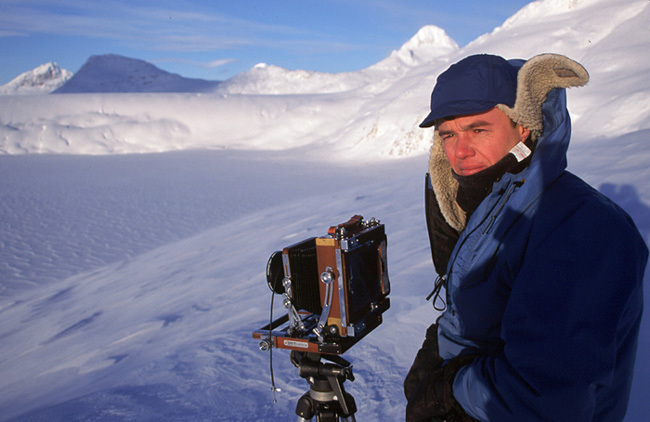 For over 25 years, capturing images and making pictures has been both hobby and vocation. After finishing a Bachelor of Arts degree at California State University, Fresno, in 1984 -- during which time I had summer internships at The Philadelphia Inquirer and The Modesto Bee -- I became a staff photographer for The Anchorage Daily News. In 1989, I was part of an Anchorage team of reporters and photographers who received a Pulitzer Prize for a special report on alcoholism among Alaskan natives. for freedom. However, I harbored a desire to explore new areas. So in 1993, I left The Fresno Bee and embarked on a two-year camping and kayaking tour that led to Alaska, then to Mexico, and then back again. I have since settled in Juneau where I work as a staff photographer for The Juneau Empire. Being an avid hiker and kayaker -- and still lured by the wanderlust -- I'm on the Alaskan trails and waterways frequently, enjoying and making pictures of the landscapes, its people and its wildlife. I have visited nearly every part of Alaska, including the Aleutian Islands, either on assignment or on my own. The images on this site give a sampling of where I have been, and what I have seen. As time goes on, I will be adding galleries and replacing images. For comments or inquiries about my pictures, you can email me from the Contact page.